THE government will lift all restrictions prohibiting employment of foreign doctors, nurses and teachers, Prime Minister Peter O’Neill said yesterday. In a media conference, O’Neill said foreigners were needed in the interim because there was a drastic shortage of doctors, nurses and teachers in the country. 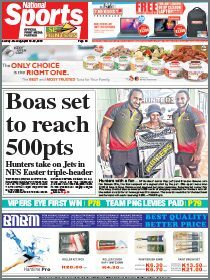 The Port Moresby General Hospital alone needs 300 nurses and 60 doctors, it was revealed last week, and there was no data on just how many more were needed throughout the country. There was a shortage of 5,000 teachers right around the country, the Education Department had informed the prime minister. 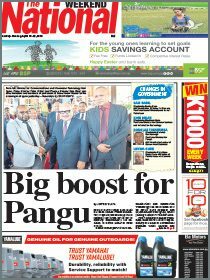 O’Neill said Australia and the Philippines had put up their hands to assist should PNG require trained professionals in the identified areas but those from other English-speaking countries with whom PNG shared cordial bilateral relations were also eligible. Many nursing colleges around the country had been closed or were in dire straits leading to there being very little turnout of trained nurses. The same was true for teachers colleges around the country. O’Neill said the attrition rate for these public sector workers also increased because many experienced people were being attracted to high-paying jobs in the resources sector such as the liquefied natural gas project. The pressure on the education sector for trained teachers is greatest because of the recent announcement that English will now be the language of instruction from elementary through all grades of school. The prime minister also announced yesterday that teachers for Grades 1 and 2, which currently do not have trained teachers, would now revert to having teachers fully trained at teachers’ colleges. No figures and dates had been fixed on when the first overseas professional might land onshore.